The castle lay dark and still. His pen scratched the paper and bled. An upside-down bat yawned, quite dead. A horse blanket hiding the view. “What do you know about smuggling? “What would I know about smuggling? I’m not out on the Downs ev’ry day. But probably so will have you. The Revenue man changed position. The old man was far too aloof. Be sure, I’ll be finding the proof. Folk trust you, they ask what to do. The pen kept scratching the paper. The taxman kept scratching his head. He’d scratched something useful instead. 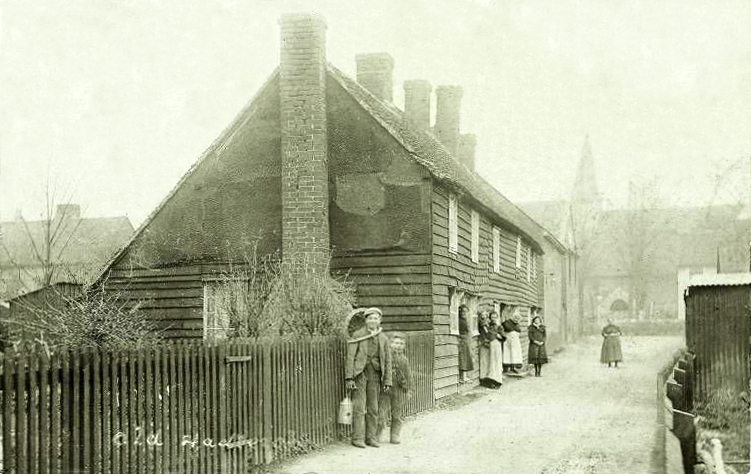 According to an old Tithe Map Murrell's was the weatherboarded cottage nearest to the church.